A human calculator. Musical prodigy. Inherent big-picture thinker. People who possess unusually high cognitive and creative abilities are called lots of things, but there is more to them than just obvious aptitude. These are high octane, deeply caring individuals with multiple intelligences. 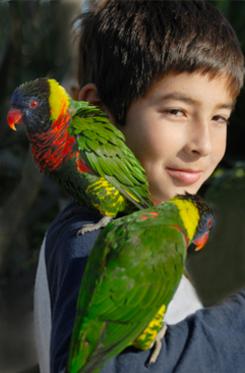 At MightyMindz, we consider the physical, social, and emotional needs of the gifted and provide services personalized for these individuals and their families. We cultivate, inspire, and groom them for influential leadership roles. For gifted people, there are just not enough colors, words, musical notes, doodles, or stages to satisfy their inspired minds. Most gifted people have a powerful inner drive for personal expression fueled by emotional intensity. MightyMindz understands and connects with these unusually bright people to help them understand the positive effect their singular abilities have in creating a full, happy life. 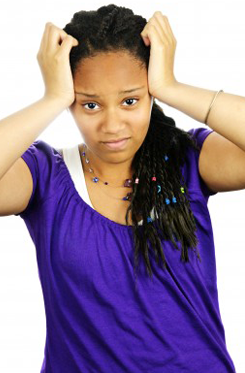 Individuals with exceptional abilities often ask, "What's wrong with me?" They live with the frequent social and emotional ups and downs that come with being intrinsically different from others. Bright, motivated, gifted, and talented youth and adults crave a deep understanding of what makes them different. MightyMindz helps them learn to navigate the world in productive, healthy ways. We help provide on-going support that embraces and unleashes their unique intellectual, artistic, and leadership potential. Gifted youth and adults are passionate about their interests, feel a strong sense of justice regarding ethics and fairness, and display heightened sensitivities. Their great capacity for compassion coexists with intense reactions to criticism and a low tolerance for stress. MightyMindz provides insights into the social and emotional tendencies of the gifted and directs them into productive channels, allowing these bright and creative people learn to use these qualities to achieve remarkable results. We mentor you in ways that help you attain eminence in your chosen profession and areas of greatest passion. We develop your leadership abilities so you can create entrepreneurial ventures and social action programs that maximize your personal impact. We connect you with the optimum environments and relationships that bring out the best in you. 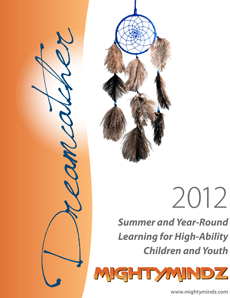 We are thrilled to offer you DREAM CATCHER, our electronic catalogue brimming with summer learning programs and activities designed to inspire children and youth in pursuit of their dreams. Just click and explore! At MightyMIndz we provide customized consulting services based upon our clients' desired results.